The price of the P266 is $9.95. See picture below, click to enlarge. Outstanding two piece set - both surface printed and matte finished to give accurate fine calibrations without glare. They are both transparent for full visibility and flexible to measure flat, curved, and cylindrical surfaces. 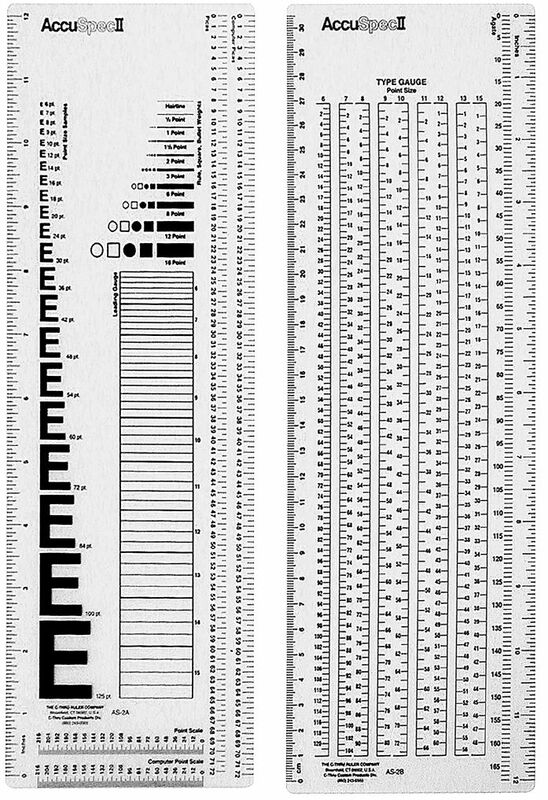 Ruler 1 has picas, line rules, bullets and squares, a leading gauge, point size scale, and an E-scale (6-125 points). The price of the AS-2 is $11.50. See picture below- click to enlarge.